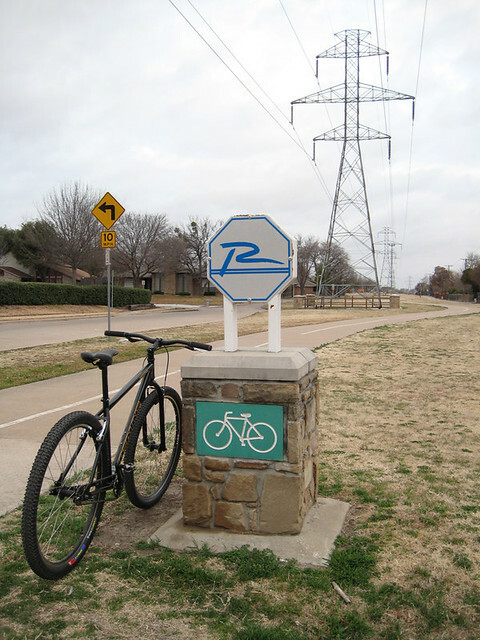 Bike Friendly Richardson is pleased to announce that we have just submitted the application to have Richardson considered for a Bicycle Friendly Community designation! This was an idea that we had had for a while and last November, Jenny Rilling took it on as a project. With the help of City staff, we made it happen. The Bicycle Friendly Community program is administered by the League of American Bicyclists. With all the bicycling improvements in recent years, and more to come, it was time to throw our hat in the ring. Not every application receives the Bicycle Friendly designation, however, the LAB staff generously provide feedback to each applicant to help them do better next time. This is our first time submitting the application, so we don’t know how we’ll do, but we are proud of how far we’ve come, and we’re looking forward to getting feedback on where we can improve. Currently only three cities in Texas have received the Bicycle Friendly Community designation: Austin, San Antonio, and The Woodlands. And of course, all the BFR friends and everyone out there who said, “Hey, we should improve biking in Richardson”, and everyone out there using the bike trails, bike lanes, and roads and having fun and trying to continually improve things for cyclists. Thanks, everyone, for all you do. See you out there on the road! Congratulations on getting it submitted. So . . . . take a deep breath, relax for a week, and then go back through the application and make a plan to bolster and implement things for next time! It really is a learning experience! Riding in Richardson daily, I’d approve a Bronze level for sure if I was in the eval board. I have excellent biking options from the south and the east AND the northwest into my workplace. There’s showers and two new bike racks at my workplace. Our fitness coordinator is helping us put on a cycling skills class here at the building. You should consider submitting your workplace for a Bicycle Friendly Business designation! Yep, I even bought Craig over at TI lunch to figure out how to do it. But that’s on the back burner (but simmering). I do not understand the League’s position here…Why did they say no?